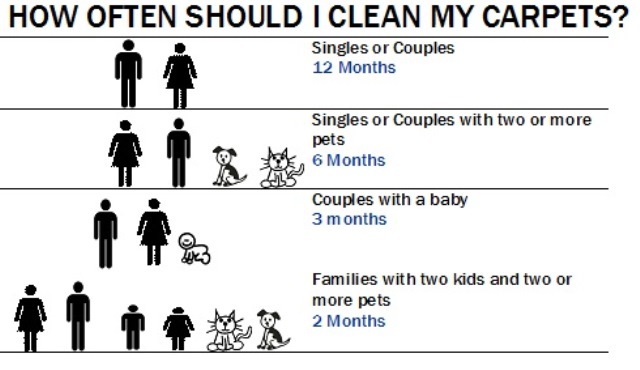 Come to us for all your carpet cleaning. Try one of our most popular services - Moving Out / End of Lease Carpet Cleaning. We carry the necessary equipment that allows us to cover all corners of your carpets, mats and rugs. We also offer a quick response time and our service doesn't include any hidden extra costs. Having your carpet professionally steam cleaned on a regular basis is a small cost to pay for providing a cleaner and healthier environment for your home, employees or clients. We take pride in cleaning your carpet and providing quality advice, service and results. Shops, pubs clubs, cafes, hotels and motels. No matter what the size of the carpet cleaning job, our objective is to provide exceptional service and results. Our steam carpet cleaning process achieves optimum results. A pre inspection is performed and discussed with the customer to ensure their requirements are met. A commercial vacuum cleaner is used to extract dust, dirt, hair, crumbs etc. (Additional charges may apply). A biodegradable solution is applied to breakdown soiling and spots. Carpet is steam cleaned (Hot water extraction) providing a deep thorough clean. Our steam carpet cleaning process provides superior carpet cleaning result. Superior to a rental/hire machine carpet shampoo method. Any remaining spots are treated with the appropriate solution and cleaned. Anti-allergy chemicals for asthma customers. Once you have experienced our carpet cleaning service we are confident you will too will become a long term client. 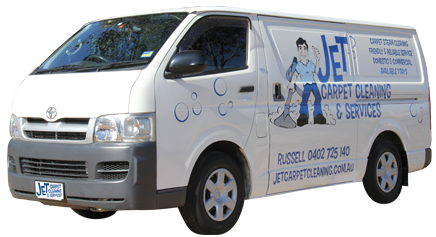 We are confident that you will be impressed with Jet Carpet Cleaning Services. We're based in Penrith and we service Greater Western Sydney including Jordan Springs and the Blue Mountains. See our Specials Page or Contact Us for a competitive quote.